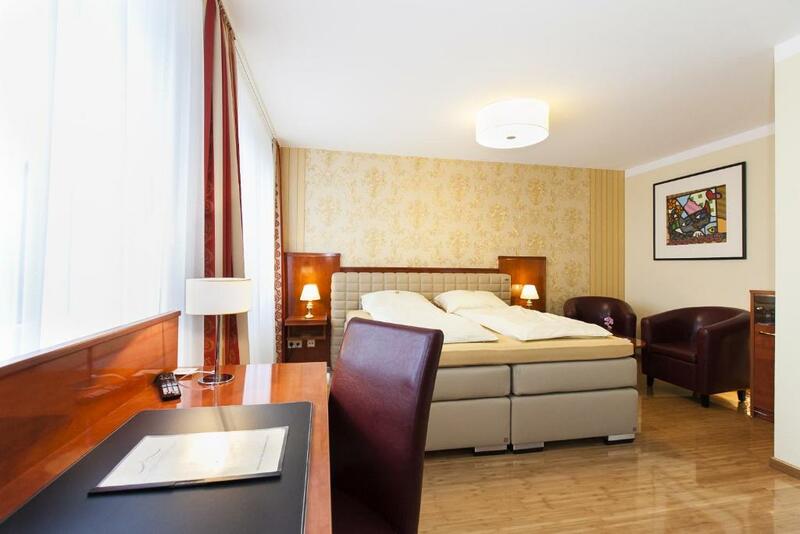 Lock in a great price for Hotel am Berliner Platz – rated 8.6 by recent guests! Balcony with the room. King size bed was comfortable. Staff very friendly. Brauhaus connected to hotel. 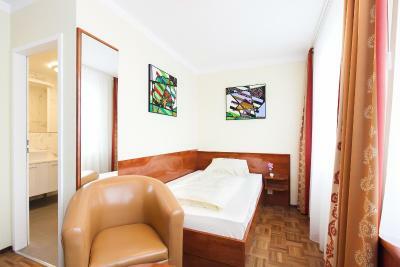 The owner is very friendly and helpful, and the hotel and rooms are spotlessly clean. The breakfast is continental. Very friendly staff who makes it a policy to adress their guest by name immediately. 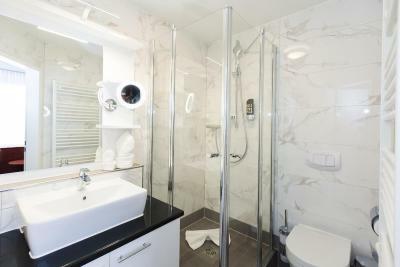 Lovely bathroom with spacious shower. Good sized room and parking available. Very nice hotel, the staff was very helpful. The room was very nice and had everything you can need. The hotel has their own closed parking which was very nice as there was snow during our stay. 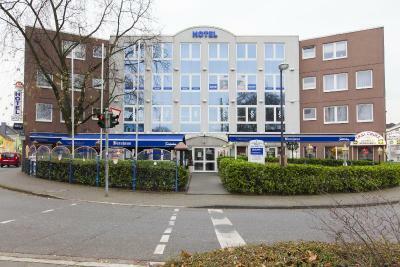 The hotel is very nice and 900m far from Lagenfeld (Rhld) train station. You can reach the hotel from the train station easily by walk. The rooms are big and very clean. The staff is really kind and helpful. Next to the hotel you can find a alehouse/ restaurant where you can eat delicious plates and drink good beer. Nettes Hotel in zentraler Lage zu Düsseldorf und Köln. Freundlicher Empfang und gutes Frühstück. One of our top picks in Langenfeld – and a guest favorite. This modern hotel on Langenfeld’s central Hauptstraße is just 15.5 miles from the Düsseldorf and Cologne trade shows and enjoys easy access to public transportation services throughout the Rheinland region. 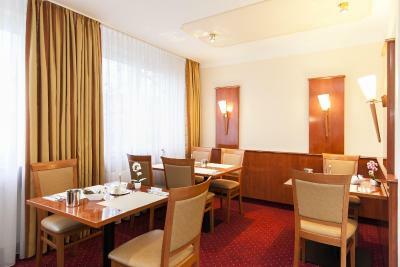 The Hotel am Berliner Platz provides generously equipped, quiet rooms with free wireless internet access. The hotel’s tasty breakfast will give you all the energy you need. The Langenfeld S-Bahn (light rail) station is 1,650 feet from your doorstep. It has services to central Cologne and Düsseldorf; the trip takes 20 minutes. Highways A542 and A57 are also just a few minutes away. 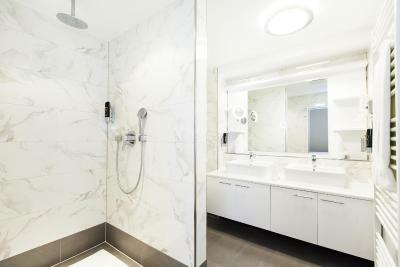 This property also has one of the top-rated locations in Langenfeld! Guests are happier about it compared to other properties in the area. This property is also rated for the best value in Langenfeld! Guests are getting more for their money when compared to other properties in this city. When would you like to stay at Hotel am Berliner Platz? This single room features a mini-bar. 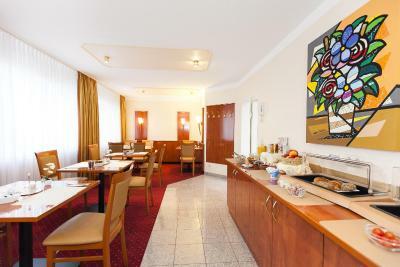 House Rules Hotel am Berliner Platz takes special requests – add in the next step! Hotel am Berliner Platz accepts these cards and reserves the right to temporarily hold an amount prior to arrival. The waitress clearly wanted to finish her shift and wasnt happy we went for breakfast at 0845.